Barbara Comyns (1909–1992) was born in Bidford-on-Avon, in the English county of Warwickshire, one of six children of an increasingly unsuccessful Birmingham brewer. Living on the run-down but romantic family estate and receiving her education from governesses, she began to write and illustrate stories at the age of ten. After her father’s death, she attended art school in London and married a painter, with whom she had two children she supported by trading antiques and classic cars, modeling, breeding poodles, and renovating apartments. A second marriage, to Richard Comyns Carr, who worked in the Foreign Office, took place during World War II. Comyns wrote her first book, Sisters by a River (1947), a series of sketches based on her childhood, while living in the country to escape the Blitz, which is also when she made an initial sketch for The Vet’s Daughter (available as an NYRB Classic). 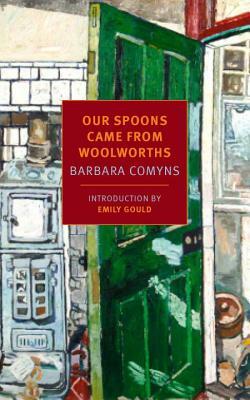 This, however, she put aside to complete Our Spoons Came from Woolworths (1950) and Who Was Changed and Who Was Dead (1954). The Vet’s Daughter was published in 1959. Among Comyns’s other books are the novels The Skin Chairs (1962) and The Juniper Tree (1985; forthcoming from NYRB Classics), and Out of the Red into the Blue (1960), a work of nonfiction about Spain, where she lived for eighteen years. Emily Gould is the author of the essay collection And the Heart Says Whatever and the novel Friendship. She is the co-owner of Emily Books and lives in Brooklyn.